A Morecambe man has been jailed after admitting a number of indecent image offences and two sexual assaults against children. Charles Lord, 46, of Clark Street, Morecambe was sentenced to 15 years imprisonment on Wednesday March 15 after previously pleading guilty to the crimes on the first day of his trial at Preston Crown Court on Monday January 30. In 2010, one of his victims aged 10 at the time, reported being sexually assaulted by Lord but following an investigation, it was deemed that there was not enough evidence to proceed. Years later in December 2014, officers executed a warrant at his address in Morecambe and seized his laptop which revealed a large number of indecent images of children. 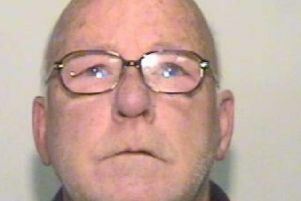 He was also found to have shared the images online among other paedophiles and bragged about abusing children. In light of this new evidence, police reopened the previous investigation and during this time, a second victim came forward, reporting that she too had been sexually assaulted by Lord when she was 15 between October 2000 and October 2001. DC Ian Wright from the Public Protection Unit said: “Charles Lord is a truly sick and callous individual who has shown no remorse for what he did. “During interviews he denied any involvement in abusing the young girls, blaming it on a fictitious associate of his. He is now behind bars where he belongs and I thank the two victims for showing the courage to come forward and give evidence. “This was a hard sought conviction and I am pleased that we have seen justice. I hope that this result will help the victims to start rebuilding their lives. Lord was also handed a Sexual Harm Prevention Order (SHPO).